"Certainly, travel is more than the seeing of sights. It is a change that goes on, deep and permanent, in the ideas of living." After returning to the Lower 48 states from the Canadian Maritimes in early September Jim and I have gradually and independently come to the same realization: our attitudes and lifestyle are already beginning to change in some ways now that we live full-time in our Cameo 5th-wheel camper. After ten years of extensive travel in our RV we are no longer on a "summer trip" or a "winter trip," with an inevitable return to our house in Virginia for a few weeks each spring and fall for medical appointments and maintenance work on our property before we head out again in our camper to explore new venues, visit friends and relatives, and generally follow our Muses. That's because we no longer own a house affixed to land to which we can return. We sold the place in June so we can travel full time -- with no worries about a fire, tornado, break-in, or other damage to our property -- until we get tired of that lifestyle and decide to settle down again somewhere. That could be another two years, ten years, or never. Time will tell. So far, after about four months of being house-free, we love the total freedom we finally have to travel in our RV wherever and whenever we want on the vast North American continent. If we don't like the weather or something else about our current location, we're free to move the camper somewhere else that we might enjoy more. We can stay as long or as little as we want in each place. It's been a long time coming. We've wanted this freedom for the last five or six years but had to wait until the housing market improved sufficiently in our rural area of Virginia before we could sell our house at a reasonable price. Now we're learning what it's like to be house-free and able to pursue all kinds of new adventures. Our extended RV trips the last ten years were more like vacations -- really loooong vacations that lasted four or five months at a time. The mind-set many people have on vacations is to cram as much activity as possible into each day, especially if they are visiting a place that is new to them. 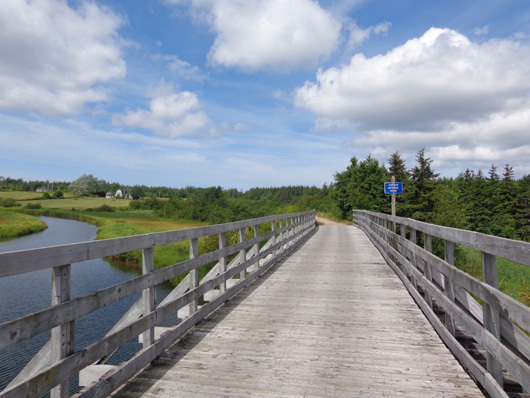 We fall into that trap sometimes, too, as recently as our journey through Nova Scotia, Prince Edward Island, and New Brunswick this summer. 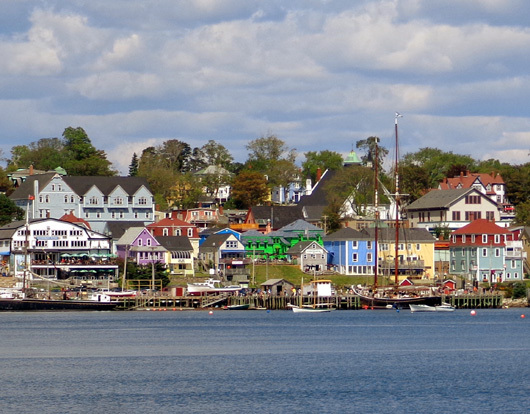 The Maritimes were new to us and we were curious to see as much as we reasonably could in a month. After all, we don't know if we'll ever get to go back there again (we'd like to). Ditto for Alaska. Even though we were in that far-flung state for almost three months in 2012, so many things were new and exciting to us that we wanted to absorb as much of the scenery and history through northwestern Canada and Alaska as possible. We had some down-time but not a lot, and we were exhausted (I called it "tripped out") by the time we got back to our house in Virginia. So what is changing in our lifestyle now? A noticeable shift in mind-set from being on another extended "trip" . 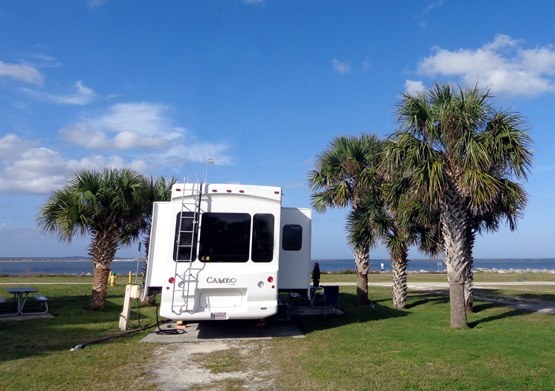 . . to living and traveling in our RV full time, which is different in some ways than we expected. Can anyone be "on vacation" full-time?? That actually sounds like a lot of stress to me! Obviously, I need to learn to relax more when we're visiting new locations. 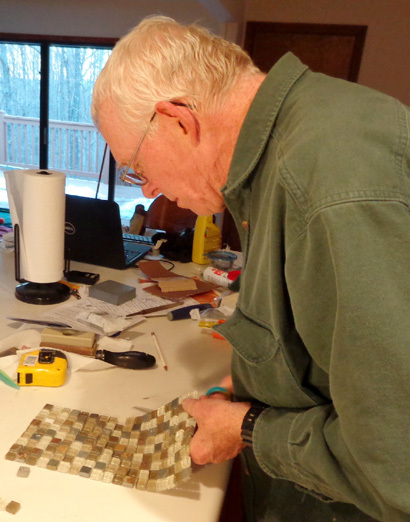 As retirees we joke that "every day is Saturday." It doesn't mean every day has to be packed with activity. For the past month or two we haven't had as much desire as usual to get out and do things every day. 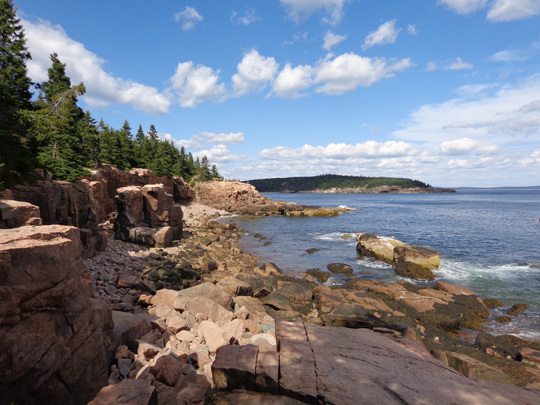 We stayed busy at Acadia National Park in September because it's a great place to hike and bike but we gradually ran out of steam after that in the White and Adirondack Mountains. Ditto for Fort Drum and now in Washington, D.C. There are lots of interesting things to do and see in D.C. but most days we aren't interested in going anywhere. We both think it's more of an unconscious shift in our thinking, however, than just being tired of touring the northeastern part of the continent or avoiding the urban jungle we're in right now. 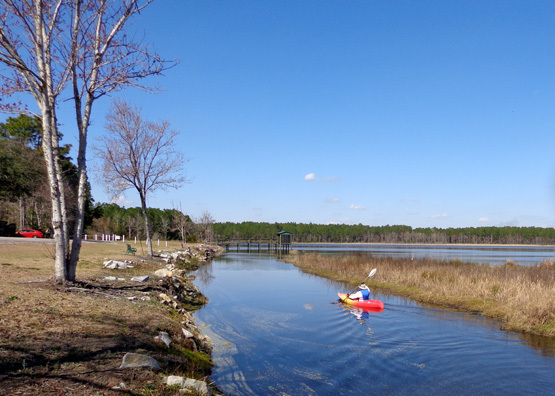 No urban jungle, but this lake in St. Mary's, GA does have alligators! We haven't lost our desire to explore new places but we're more likely to simply prefer to relax some days in the campground now, regardless of where we are. I think the recent mind-shift is that we fully comprehend that the Cameo is our one and only home. It's 'way more than just a "recreational" vehicle now. When we stayed at our sticks-&-bricks house in Virginia for a few weeks at a time we didn't feel the need to go out and do something new each day. We did that when we traveled in our rolling residence, not when we stayed at the stationary one. This house on wheels is our home 24/7 now. 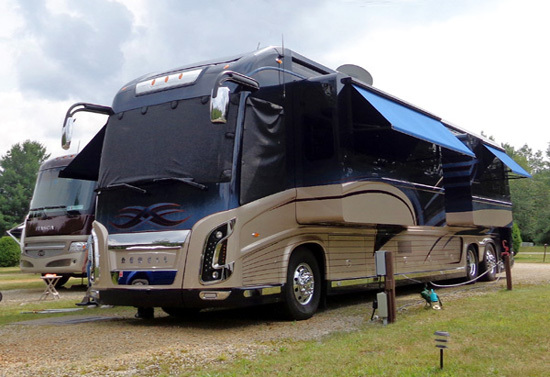 It's very comfortable no matter where we park it -- as any "real home" should be. It's a great place to relax, not just to crash overnight between our daytime adventures. Makes sense, and helps us feel less guilty about not exploring every location we visit more thoroughly. We foresee some other shifts in our lifestyle, too. One is that we're more likely to stay in each destination campground longer than we have in the past. That is not only more relaxing, it also saves money when we can get weekly or monthly rates and we use less fuel driving with the RV from place to place. When we traveled around the country to foot races from 2004 to 2010 we moved fairly often from one location to the next. Now that we aren't going to those races anymore, we have less structure and can stay for longer periods of time in the areas we choose to visit. "Long-term" for us means at least two months. That's about the longest we've ever camped in one spot. Snowbirds with houses in the northern U.S. or Canada often spend five or six months in warm climates farther south in the winter. I don't think we'll spend that much time in any one place any time in the foreseeable future but that lifestyle may look more appealing to us as we age. 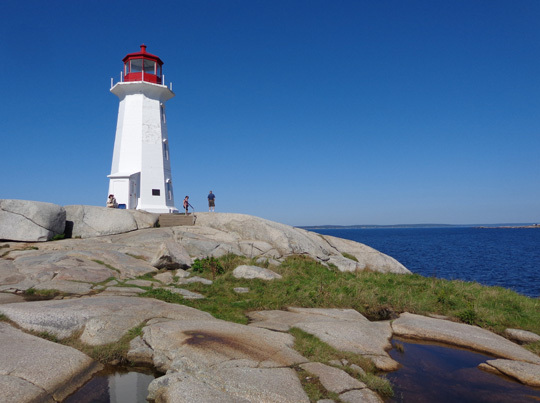 We were intrigued with all the nice seasonal sites we saw at campgrounds this summer in northern New England and the Maritime provinces. 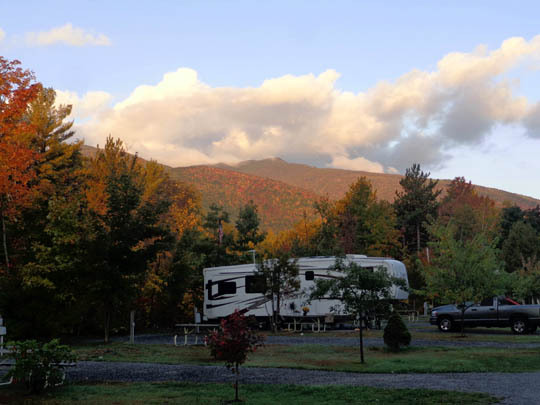 I can see staying in the White Mountains of New Hampshire or even Nova Scotia or Prince Edward Island at an attractive, convenient RV park for several months at some point in the future. The average daily cost is very reasonable at most of them. One thing that won't change is our desire for cooler climes in the summer and warmer ones in the winter -- that "Dandelion Time Warp" with moderate temperatures we prefer. We considered a seasonal site somewhere in southern Arizona this winter before we changed our destination to the Florida-Georgia area. We have a three-month reservation at Kings Bay Submarine Base again. We might leave after two months if we decide to visit one or more other military bases while we're down there. Another change we began making this summer is less boondocking, which is "dry" camping without water, electrical, or sewer connections. Now we're more likely to seek an RV park with hookups, especially for stays longer than a few days. As we get older we don't enjoy all the work entailed in hauling fresh water, dumping waste water properly, running the generator several times a day, and relying so heavily on solar power. We still have our generator and solar panels and will continue using them when necessary, such as in-transit overnight stops at Walmart or Sam's Club parking lots. They'll also come in handy at some state and national parks and forests we choose to stay in for a few days at a time. This doesn't mean we'll be staying at posh RV resorts or even very often at expensive private campgrounds like KOAs. 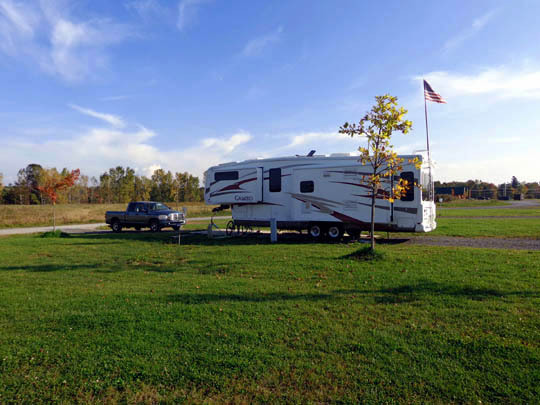 Both of those types of RV parks have too many amenities we don't use or appreciate. Why pay for them? We have always been rather frugal people and we always will. 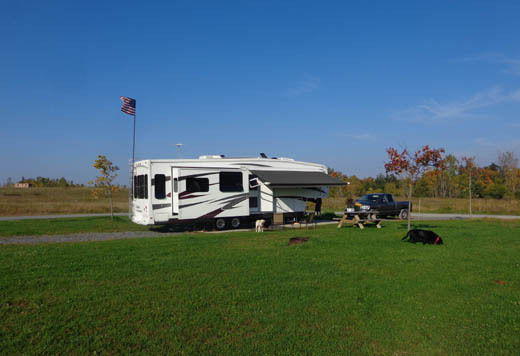 We'll continue to search for nice but less-expensive campgrounds, such as those on military bases and ones with economical weekly, monthly, and seasonal rates. 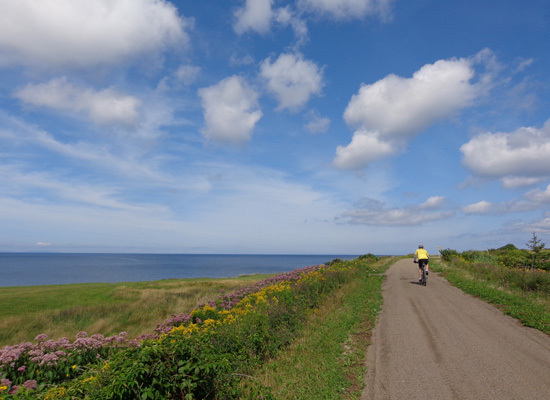 We want spacious sites, clean grounds, convenient places to ride our bikes and walk the dogs, and the more hookups the merrier -- not just water, electricity (30, or preferably, 50 amps), and sewer connections, but we're also really fond of strong, free WiFi connections and cable TV. * We'll be seeking out such places more frequently now. THAT'S NOT *REAL* CAMPING, IS IT? Even though we move around in our RV to various campsites some people don't consider the way we live to be "camping" because it's not "roughing it" enough. 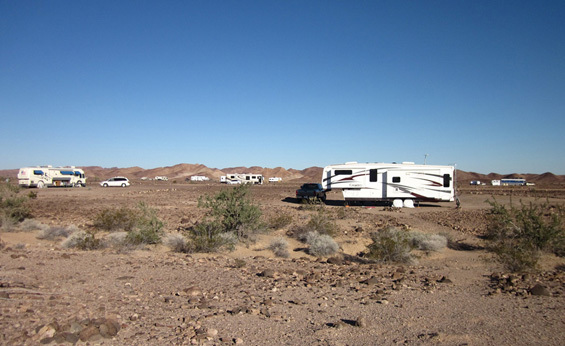 Further compounding the concept is that most any tent or type of RV can be found in most any setting -- tents can be used in all but the most exclusive RV parks, and classy motorhomes can be found in the middle of the desert sans hookups. In my book, all these folks are "camping" unless they stay in one spot permanently. If their RV never moves to another location, it's more like living in a mobile home park. 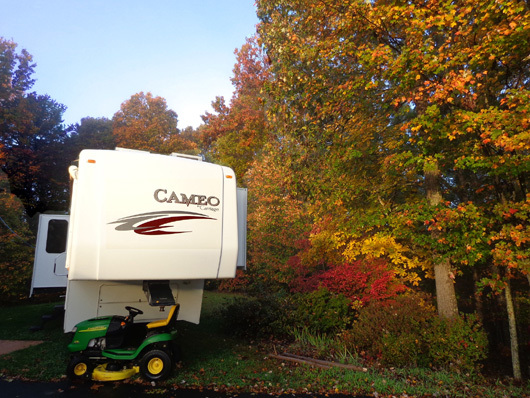 We're somewhere in the middle of that "camping" range with our comfortable 5th-wheel coach built sturdily enough for full-time living. 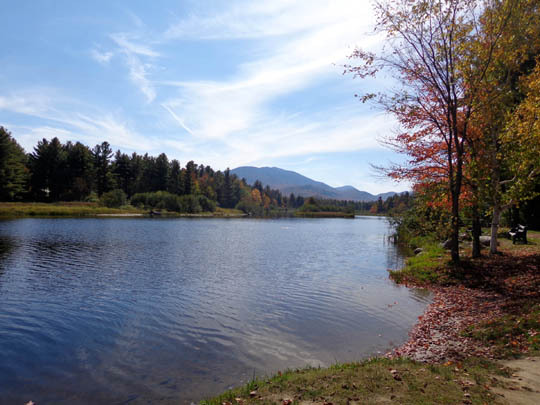 We like to mix it up with a variety of campground settings so we can enjoy all the places we want to visit. We can choose to rough it, relatively, without hookups in a national forest or desert, or seek out more amenities in "real" campgrounds with various options. It's all good because we are free to move on or stay as long as we want (or as long as the campground restrictions allow) when we're in our rolling residence. DON'T YOU MISS YOUR STICK HOUSE? Nope. We feel relief that we don't have to worry about it anymore while we're traveling. Who knows when or if we'll buy another property. There are so many variables that could influence our decision. We occasionally talk about what state or area we'd prefer "someday" but no one place that we've found during our travels or from internet research has everything we want year-round. That's one reason we keep RVing. We can travel the whole continent to seek the best weather, scenery, trails, local attractions, and other things we enjoy -- and try to avoid those we don't. This fall we have followed the changing leaves through ME, NH, VT, NY, PA, MD, and VA.
We joke about being house-free when we're at a Home Depot or Lowe's store, looking for items for the camper. We've put residential fixtures of various types in the Cameo since we purchased it 4+ years ago. 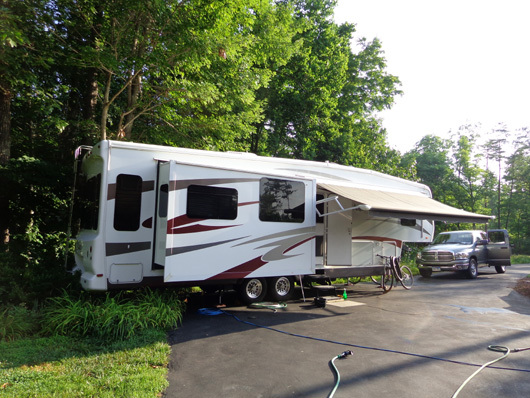 In July, for example, Jim put a new pull-down kitchen faucet in the camper that was identical to the one we installed in the house when we upgraded the kitchen before we sold the house. He also mounted twin filters under the kitchen sink because the water quality varies so much from campground to campground. It does seem a little odd that we aren't hunting things for a "real" house or yard any more, after doing that for all of our adult lives. We bought so many things to spruce up the place in Virginia before putting it on the market last spring that on subsequent trips to home stores early in the summer we'd see a good sale price on something like mulch and then realize, Oh, we don't need that any more! Jim cracked me up when we were here at Andrews AFB in July, soon after selling the house. On the second rainy day in a row he wryly remarked that "if it doesn't stop raining, I'm going home!" and we both got a good laugh. Of course, that's only funny if he says it in front of someone who knows we sold our house. We might have some nostalgia when we pass through the Roanoke area in a couple weeks. It'll be odd, indeed, not to head for our house. We'll have to drive by our previous abode to see if the new owners are taking care of the place. Ha! That beautiful yard and gardens . . . 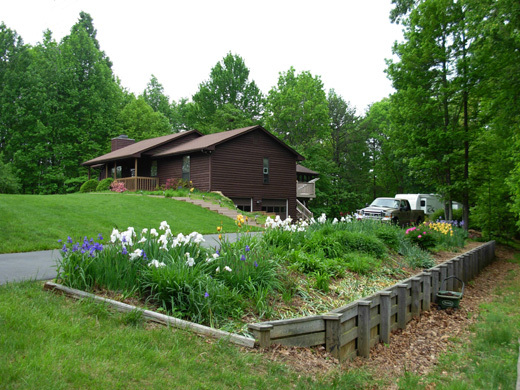 The flower beds were prettiest in the spring when the azaleas and irises were blooming. and no one weeded them until we got back (a neighbor mowed the grass for us). a lot of work when they came down in October and November. Jim says he'll just laugh at all the leaves in the gutters and on the grass and be thankful he doesn't have to dispose of them any more. I'll be thankful that I don't have to spend several days pulling all the weeds that overtook the flowerbeds while we were gone for four months -- or look at the big trees that came down in the woods from very high winds the last two years. That just killed me because the forest was so beautiful when we bought the place ten years ago. Part of our psyches might miss our big "tree house" after seeing it again from the outside but we'll mostly be grateful we were able to sell the place at a decent price so we can enjoy the freedom of full-time living and traveling in our RV. Someday we'll probably put down roots again but for now we prefer being nomads. There are more of us out here enjoying this lifestyle than you'd believe and they aren't all retirees like us.